Organize all of your data into one place for pennies per page. 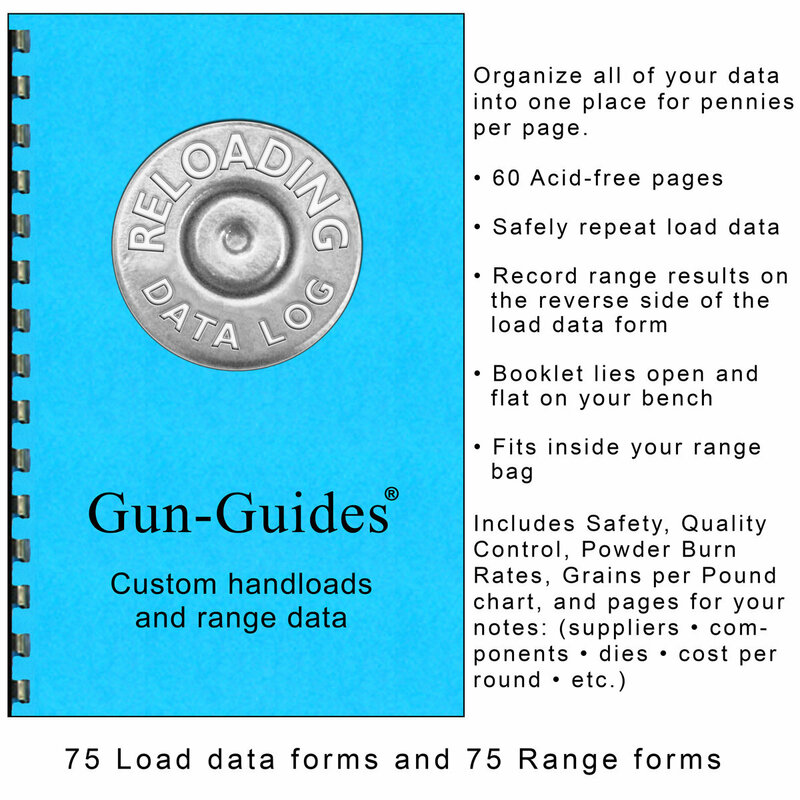 The LOAD DATA FORM includes areas for your caliber, firearms, powder data, primers,case prep, trim, times fired,sizing die info, and dimensions. The RANGE DATA FORM includes target and zero distances, wind data, sight corrections, impact plotting, group sizes, chronograph results, and a notes area.